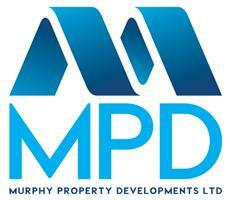 Murphy Property Developments Limited - Bathrooms, Builder, Kitchens based in Coventry, West Midlands. Murphy Property Developments Limited is a family run business with a wealth of experience in domestic and commercial property refurbishment. Whether you are looking to improve your property or build your dream home, you need a builder you can trust and forge a good relationship with, customer satisfaction is our number one goal. Why not get in touch with one of our team, we would be more than happy to hear from you. During the summer of 2017, Murphy Property Developments signed a deal with SoccerRockz Football Coaching to become their training kit sponsor for the 2017/18 season! Going into its 7th year, SoccerRockz is Coventry & Warwickshire’s biggest independent football coaching provider, delivering over 20 weekly football sessions to almost 500 children between the ages of 3 -14.